IMPORTANT NOTE: All further work on the commercial versions of computer Harpoon was suspended in mid-2013 after more than two decades. 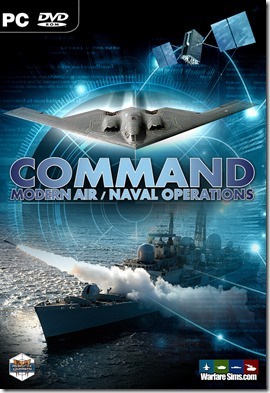 The guys behind HarpoonHQ (now WarfareSims) saw the signs of Computer Harpoon’s collapse as early as 2006 and started developing our own simulator named Command: Modern Air/Naval Operations which was released in September 2013. Since the owners of WarfareSims have been avid Harpoon fans since the late 1980s / early 1990s, we decided (on popular demand) to keep some of the Harpoon material on our new site even though we’ve now scratch-built our own product that is not related with the Harpoon franchise. The material is provided as-is and is no longer supported. WarfareSims’ time and energy is now devoted to continued development & enhancement of Command: Modern Air/Naval Operations which has similar focus as Harpoon but with a much more pronounced balance between air and naval operations. The Missile Age database covers the period from 1965 to 1979. During this time the world’s armed forces underwent a major transformation where primary armaments changed from guns to missiles. This period also saw the emergence of the Soviet Union as a credible blue water navy. A number of surrogate wars were fought at this time between East and West where new tactics and strategies were developed to accommodate the new technology. This Database project started in 2004. It is not complete yet, but it is well on its way – updates are being made on a continuous basis. Ever since I began playing this amazing game back in the 1990’s I had a desire to create scenarios from the time before 1980 when the original database and DB2000 begin. This was a time when many continental powers had colonies scattered around the globe and a war in general was far easier to start. Tensions between east and west often neared boiling point and many surrogate wars were fought. The help I received from Rag, Dale, Mike and Paul while creating this database has been great and without it, this db would not exist. This is a work in progress so any comments, suggestions and/or requests are welcome. IMPORTANT NOTE: The “DB2000”, “Colonial Wars” and “Missile Age” databases and all their associated material remain the IP property of their respective authors. If you’re new to Harpoon3, please visit the Getting Started Section for information on how to set up the database and scenarios. Due to all the bugs and weird behaviour in version 3.7, 3.8 and 3.9 we strongly recommend that you use version 3.6 of the game. This historical encounter was the first naval encounter in which missiles were used. On this the first evening of the Yom Kippur War, the Israeli naval command has decided to force a confrontation with the Syrian navy in the hope of gaining control of the sea. The Israeli navy consists of SAAR missile boats, armed with Gabriel I SSMs. They are up against Syrian Osa class missile boats, armed with the longer ranged and harder hitting SS-N-2 Styx missiles. As with most missile boat encounters, this one promises to be fast and deadly once the action begins. NATO finds itself in a similar position to what the Allies did in the Second World War in the Mediterranean with no land based air support except for its island bases of Malta, Crete and Cyprus. The Soviet Union has enlisted the support of its Arab clients and has closed the Suez Canal to western shipping. Most of the Soviet Black Sea Fleet is opperating in the Eastern Mediterranean at this time. Two powerful NATO carrier battlegroups based on USS Saratoga and HMS Eagle have just entered the theatre and are ready to join the battle. Situated at the foot of South America, the three islands of Picton, Lennox and Nueva in the Beagle Channel have been the source of tension between Chile and Argentina for almost two centuries. The cause of the tension is not the islands themselves, but rather their associated 30 000sq miles of fishing and mineral (notably oil) rights. The situation has recently become even more urgent following the discovery of large oil and gas reserves in the area. After a year of failed diplomacy and mounting public pressure, Argentina has sent a large naval armada to claim the islands, less than 24 hours later, Chile has responded in kind. The crisis that unfolded between the USA and the USSR over nuclear deployments in Cuba is a well known subject. What has remained unknown until recently is the drama that took place above and below the waters of the Carribean. Along with merchants and inteligence gathering vessels, the Soviet Union deployed a number of long range diesel subs to the area – most notably the new Foxtrot class and several Zulu’s. As the Soviets neared their destination, tensions increased dramatically – as did U.S. provocation of Soviet forces. Unknown to the US at the time was that the escorting Soviet subs each carried a pair of nuclear tipped torpedoes, and that unnerving these Soviet crews could have started a nuclear conflict. On October 27th, that is exactly what happened. Ever since gaining independance from Britain in 1960, Somalia has dreamed of reuniting all five of its former provinces under one flag to become greater Somalia once more. In January, Somalia announced its intention to reunite the opressed ethnic Somalis of Djibouti and rid the region of colonial influences. France responded decisively by stating its commitment to the preservation of freedom in the area and despatching a frigate from its base at Reunion as well as a far larger force which will be arriving in the area in the next 24 hours. The strong Soviet ties with Somalia are a great cause for concern – as is their sudden deployment of a number of warships to the area. It is uncertain at this time how much assistance they are going to give Somalia in this confrontation – for this reason the situation is extremely tense. Over the past year, Sri Lanka has taken steps to distance herself from her increasingly unpopular northern neighbour, India. The Indian Prime Minister, Indira Ghandi does not approve of this move by her would be client state and has staged an emergency situation that has allowed her to occupy the country unopposed. The United States has decided to intervene in this situation because it can’t afford to lose one of the only Pro-Western nations in the region. A large CVBG centered on the USS Enterprise is approaching from the east, while an ARG accompanied by the Hancock BG is headed north out of Diego Garcia. The Indians have increased their air and naval presence in the area. The Island of Cyprus has found itself at the center of a tug of war for almost a century. The Greek desire for Enios (The unification of all lands associated with Ancient Greece) as well as the convenient location of the island for two British bases has prevented Turkey from governing the island which it controlled until World War I. This great source of tension became too great for the Turkish government which executed a successful invasion and reclaimed control of the island. This act of agression has angered the Greek and British governments who have decided on a joint opperation to retake the island and restore order to the region. The Ark Royal battle group has now joined up with elements of the Greek navy and is now headed east towards Cyprus. A powerful US Navy CVBG has taken up position in the Norwegian Sea to perform goalkeeper duties for the North Atlantic SLOC. Both carriers are in fleet defence mode – performing round the clock CAP and ASW operations. In about 36 hours, a large convoy of reinforcements from a number of NATO countries is due to arrive. Until then however, a massive effort will be required to defend the Port of Trondheim and the support units stationed there from the Soviet Baltic Fleet following its successful outbreak into the North Sea. When the Chinese crossed over into the New Territories they assumed the British would surrender without much of a fight and Hong Kong would be theirs. They were sorely mistaken. A determined stand by local UK forces bought enough time for the Royal Navy and her Commonwealth allie, Australia to get a task force into the area. The stage is now set for an epic battle to reclaim Hong Kong and hopefully deter any future actions of this sort. As the October War of 73 rages to the north a lone American destroyer group moves into position to challenge the Egyptian blockade of the Red Sea approaches to Israel. Who will prevail? This scenario was designed to see how the US gunline and SAM ships would have performed in the ASuW role against similar threats. Location: South China Sea, Hong Kong Playable sides: USA, Dominican Rep. Following a coup in the Dominican Republic in 1965 the United States decided to despatch the closest available assets to stabalise the situation. Within 24 hours the USS Boxer and the USS Shangra La and their respective battle groups were making full speed for the troubled island. With the US Embassy surrounded, the first step would involve evacuating the endangered US citizens and diplomats. At the same time a decision was taken to neutralise the rebel forces’ military capabilities to facilitate the installation of a more acceptable government. The Royal Navy’s Beira patrols were undertaken between 1966 and 1975 with the objective of preventing oil from reaching minority ruled Rhodesia via the port of Beira in the Portuguese colony of Mozambique. While of noble intent and supportive of a United Nations security council resolution it was a frustrating and costly endeavor for the Royal Navy to undertake given the impractical rules of engagment, difficult logistics and ever changing political climate of a new Africa. This is a scenario about just that. The War in Angola continues to go poorly for Communist forces in 1976 as South African mobile task forces continue to successfully engage Cuban and Angolan forces under Operation Savannah. Moscow and Havana quickly realize they must reinforce and move more advanced equipment into the theater to regain the initiative and counterattack. When France resumes its controversial testing program at the Centre Experimental Pacific (CEP) in the Tuamotu Archipelago of the South Pacific; the people of Australia and New Zealand unite in opposition. With the situation at breaking point, France does not back down and detonates the first of many devices of the current testing program. At the same time, a joint task force centred on HMAS Melbourne departs Sydney harbour, headed east.